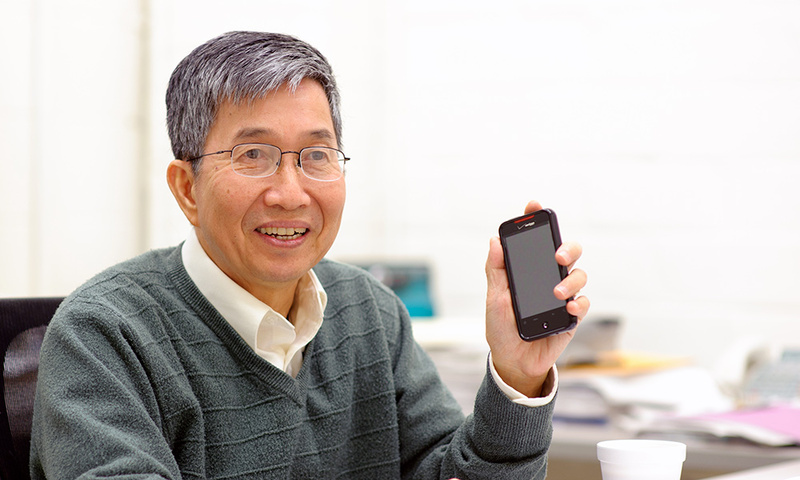 Ching Tang, professor emeritus of chemical engineering at the University of Rochester, has been inducted into the National Inventors Hall of Fame for helping to pioneer the organic light-emitting diode, or OLED. Used in flat panel displays found in computers, cell phones, and televisions, OLEDs “provide increased power efficiency, longer battery life, and improved display quality,” the Hall of Fame notes. Tang pioneered the technology with Steven Van Slyke, also among this year’s inductees, while working for Eastman Kodak as a research scientist. Tang joined the Department of Chemical Engineering in 2006. Widely recognized as a leader in organic electronic technology and photovoltaics, Tang was elected to the National Academy of Engineering that same year. In 2011, he was awarded the Wolf Prize in Chemistry, and in 2013, he was honored by the Eduard Rhein Foundation of Germany and the Consumer Electronics Association. Since its founding in 1973, the National Inventors Hall of Fame has inducted more than 500 men and women who conceived, patented, and advanced some of the most groundbreaking technological achievements in the United States.